Battersea Power Station Development Company invited Drive to create an awe-inspiring visual experience to raise awareness for the iconic buildings spectacular redevelopment. Drive utilised the very latest technologies and innovations to seamlessly integrate Battersea’s annual party and celebrate the buildings past, present and future with a multidimensional, silent, projection mapping show. In front of an audience of thousands of headphone-clad guests Battersea Power Station came to life thanks to 360,000 lumens of light and inspiring, immersive visuals. Before your students even enter the classroom, here are five strategies you can implement make your students’ educational aspirations a very real, practical and achievable daily/weekly goal. Tell administrators, colleagues, students, and parents what you’re planning. In addition to scholarly databases and university websites, you and your students will need access to social networks like YouTube and Twitter. In order to consult evidence, experts, and to truly investigate any topic, the Internet cannot be subject to excessive school district censorship. Get the required permissions signed and get the nod of approval. But, no matter what, be determined to be the teacher that opens up the world for your students. I mean it. Stop at nothing. Let’s be real. Students go to Google and YouTube first when searching for answers. They have access to amazing video tutorials and academic articles right along with ridiculous falsehoods. So, let’s bolster up the classroom research! First, show them the right way to find the answers. Google provides the tools needed atGoogle a Day. In addition to providing your students with an online adventure that you could turn into a classroom competition, Google a Day has hints on how to really use search engines to find right and true information. But finding an answer is only the beginning. Students need to know how to evaluate the source of their information. There are a few sites, like All About Explorers and one website dedicated to saving the Endangered Pacific Northwest Tree Octopus, that look superficially legitimate, but are designed for students to investigate deeper for authenticity, reliability, and accuracy. With a few clicks, students will find false and even silly claims that will make them laugh while also teaching them a lesson about website evaluation. Want to know even more about the history of a website’s development? Show your students the Wayback Machine. It is a digital archive with snapshots of websites from throughout their history. What did YouTube looked like in 2005? Just enter the URL and click Go. If we teach our students to be smart about how they learn online, our schools won’t need to put up excessive blocks on Internet accessibility in school. Students create clever videos appealing to celebrities, and can even inspire others with a simple Twitter account. Why not use that power to extend the academic discussion from your classroom? Create a hashtag for your class–after all, hashtags can be used on a number of networks, from Twitter to Facebook to Instagram. You can share resources you happen across and your students can share their own experiences from your classroom. Use Instagram to capture moments of discovery in your classroom. If you use a hashtag and keep at it, you’ll find your students doing the same soon enough. On Facebook, create private groups for clubs you advise or teams you coach. You and your students can communicate and share resources without accessing one another’s personal Facebook profiles and posts outside of the group. The truth is, educators don’t always perform flawlessly for their students every single day of the school year. It is a teacher’s duty to model learning and communicating as much as it is their duty to teach the content and skills that you are charged with teaching. But when your students arrive in the classroom with their own ideas about how to collaborate and create, talk it out with them. If it is exciting enough for them to bring to you, it is exciting enough to give it a shot. When students have a voice in how to use edtech to learn together, they are more invested in the academic experience. It is essential that your students publish their work right at the beginning of the year. Their first creation could be simple: a written reflection of holiday-period learning, a photo essay, or a list of goals for the year. The point is to get them used to putting their creations out there for others to see and react to. For example, students may each have their own blog, and by the end of the year, they have a fantastic digital portfolio of their work. To encourage them to really do their best work, tweet out links to excellent pieces to a PLN (professional learning network) or write about them on your own professional blog. Kids love to watch their site visits go up as a reward for their hard work. They can look back at their growth, and parents and other teachers can see evidence of student work, as well. Let it be known: the most important strategy that should be employed throughout your edtech preparation is communication. Be open with your students, their families, your colleagues, and administrators. Not everything will go smoothly, but as long as you are open to ideas and maintain theright mindset, this year will be the year. By connecting education with smarter technology, Intel offers a look into the future of K-12 education. Watch as students use technology to collaborate with peers and industry experts to build a bridge model. 1. INFUSE PASSION INTO LEARNING. Nine Tenets of Passion-Based Learning. Educators who focus on integrating kids’ own interests and passions into the curriculum will see them flourish as learners. Educators can think about integrating such practices as showing relevance of what students are studying to life outside school, connecting with parents, and using digital media as a way to spark interests and spreading ideas. Jumping Into the 21st Century. For both veteran educators and newbies, the temptation to stick to what’s acceptable and what’s been done is hard to overcome. Educator Shelley Wright talks about how she took the plunge and redesigned the entire structure of her teaching practice. Her goal? 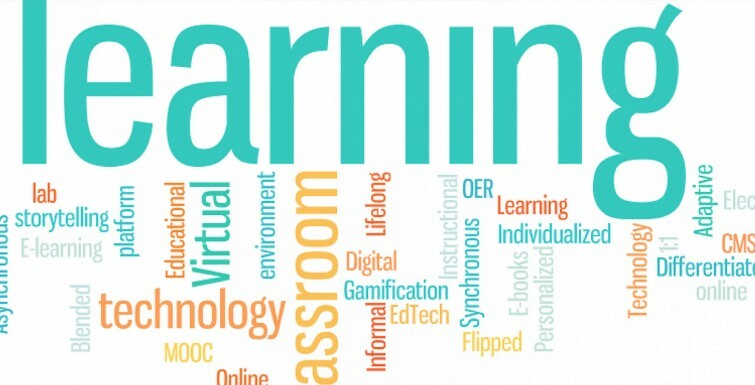 “Changing to a student-centered, skill-based, technology embedded classroom,” she says. 3. CONSIDER THE FLIPPED CLASSROOM MODEL. 4. TAP INTO STUDENTS’ IDEAS. How to Turn Your Classroom Into an Idea Factory. Design thinking isn’t just for engineers and designers. It can be applied to every aspect of learning — from generating ideas to the iteration and execution phase. Here’s how educators can foster innovation in the classroom. 5. CONSIDER THE FUTURE SCHOOL DAY. iPad-based learning is ever-present in the 2014 classroom environment. But do you and your staff understand how to successfully integrate this technology to achieve an absolute benefit for your students? 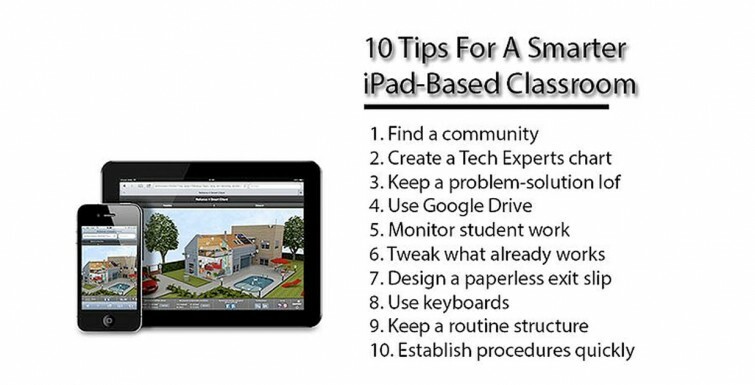 The above graphic establishes 10 useful tips to remember when utilising mobile technology in the classroom. New technology should serve as a tool for a better education, though the human being should always remain at the center, visiting Bavarian Education Minister Ludwig Spaenle said on Monday. Technology should act as a “servant or tool at the heart of the education process,” Spaenle said, speaking during a panel discussion on the “Technological Revolution in Higher Education” at the Herzliya Conference In future, higher education will depend on one’s ability to sift through the “worldwide ocean of knowledge and choose the way,” he added. The session focused on how the education system will evolve to incorporate technology. A short film was screened ahead of the discussion depicting “the future classroom,” in which students’ desks are interactive 3D computers and smartphones are used as basic learning tools. Dr. Ayelet Ben-Ezer, vice president for student affairs at the Interdisciplinary Center Herzliya and panel chairwoman, said Generation Y, born after 1980, was the most educated age group, immersed in technology, though at the same time also narcissistic and facing higher rates of unemployment than any prior generation. Today, students take a more practical approach to academia, abandoning the humanities and trying to pursue applied degrees that will provide financial stability, Ben-Ezer added. Prof. David Passig of Bar-llan University, a futurist and a member of the Israel National Council for Research and Development at the Science, Technology and Space Ministry, said the newest trend in higher education was “anti-disciplinary study,” in which students study contrasting subjects such as philosophy and computer science, as opposed to the multi-disciplinary study of similar fields such as economics, business administration and accounting. According to Passig, an ideal future would include a mandatory bachelor’s degree, or to a lesser extent a first year of study, in the humanities, with students pursuing high-demand scientific fields in the following years. Meir Brand, managing director of Google Israel for Greece and sub-Saharan Africa, agreed, saying that today, industry is much more interested in the “tools and abilities” of students, rather than the “content of their studies.” His ideal future would include the study of both humanities and STEM – science, technology, engineering and mathematics – subjects. However, Gila Ben-Har, CEO of the Center for Educational Technology, said that despite the need for science and technology education, there are very few teachers with the expertise to teach these subjects, fewer students studying science and math, with even fewer pursuing a teaching degree in these areas. According to Ben-Har, the future virtual classroom should enable the best educators to teach a variety of subjects, including STEM to students via the use of advancing technology. The panel addressed the rising costs of higher education, especially in the United States where the average tuition per year stands at some $42,000. Shai Reshef, founder and president of the University of the People, the world’s first accredited, tuition-free online university, said “frontal learning” was a privilege that is afforded to few, but the virtual classroom provides access to education for those who would otherwise be unable to afford it. According to Reshef, the University of the People serves as a possible model for future education, with students from around the world using technology to study together via the virtual classroom and pursue higher education degrees. The panel questioned whether the inevitable incorporation of technology would replace human interaction. Ben-Har said technology should serve to “complement studies and not replace the personal touch.” Rather, she said, universities need to evolve to incorporate small classrooms and lecture halls, as well as virtual classrooms and computer laboratories. Take a look at this video for a few nifty pointers – have you installed ListenPoint systems in your school classrooms yet? Check out this clever and quick look at how advancements in technology have impacted teaching and learning over the ages! “I’m not very tech savvy” is the response I usually hear from teachers that struggle with technology. Whether it’s attaching a document to an email or creating a page using interactive whiteboard software, some teachers really have a difficult time navigating the digital world. As schools around the globe begin to embed the use of technology in their learning environments, these teachers can be left feeling frustrated and marginalized by the new tools they are required to use but do not understand. The school where I teach is currently within its post-BYOD (Bring Your Own Device) implementation age. We started with a small cohort of tech-savvy teachers to pilot a BYOD program with selected classes. Starting small was definitely beneficial, as we were able to troubleshoot issues and best prepare ourselves for the school-wide BYOD rollout. Front loading any work is always helpful in education, especially when developing resources for teachers who struggle with technology. If you plan on introducing a new technology or are embarking on the mighty task of becoming a wireless BYOD school, here are five tips to help your teachers still struggling with technology. Team Integrating technology can be very stressful for educators that aren’t familiar with it. Having a support team that’s flexible and available to struggling teachers is crucial for any tech rollout. 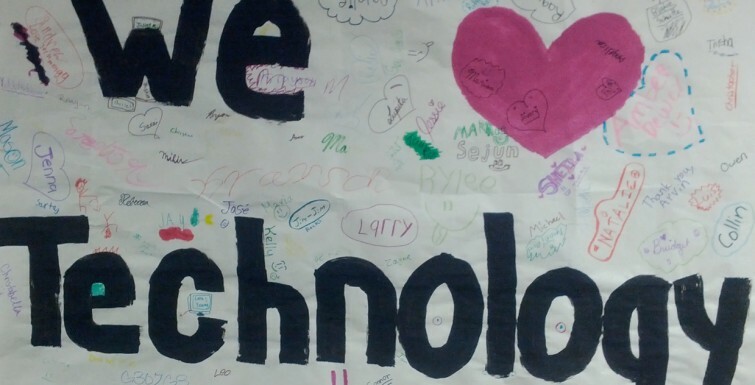 Our tech team consisted of teachers, support staff and administrators. This group was able work together across multiple content areas and grade levels to support successful tech integration. We focused primarily on mind mapping ideas and helping teachers slowly introduce technology into their classes. One big mistake when introducing technology is either too much or too little professional development. Teachers that struggle with technology might feel overwhelmed if you introduce too much too soon. On the flip side, if you don’t provide enough PD, teachers may feel isolated. Going back to tip #1, have your tech team develop a feasible plan for effective PD using input from staff members. PD also needs to be focused on being of value to teachers facing the hurdle of technology. How often do these teachers say, “Why would I try this when I’ve been doing just fine without it all these years?” If you are planning PD for the whole year, poll your teachers and ask what tech-related areas they would like to focus on. Select only one or two of these areas and make a concerted effort to help those teachers who are struggling. While I’m talking about PD, all educators know that extra time for PD is scarce throughout the day. I’ve had amazing administrators that carved out dedicated time for tech PD. Allowing teachers to meet and collaborate with each other is part of building a successful environment to support student learning, especially regarding the use of technology. Aside from just having dedicated time for teachers to meet, create a homegrown professional learning community (PLC) that focuses on monitoring tech integration throughout the school. This PLC can be powerful and insightful while supporting those that need additional help. Some teachers feel technology is being pushed on them, especially those who struggle with it. They might start using technology just for the sake of using it. This has shown to be an ineffective method for both tech-savvy and tech-challenged teachers. There is a big difference between using technology to teach and the successful integration of technology into lesson plans. This goes back to having a meaningful plan to incorporate technology into the yearly PD plan. Create a school-wide culture of tech integration and an openness to take risks. Some lessons will not go as planned — and that’s great! Reflect and learn from these challenges. Be willing to press on and continue to learn. After all, don’t we expect the same from our students? Even with the best PD and resources available, some teachers will still struggle. Support them! I’ve worked with great veteran teachers that just wanted me to stop by every few days and discuss their tech ideas. Once they have mastered one technology, present them with another to consider. Encourage them and celebrate their willingness to try new things. Focus on the learning (by teachers) and share their successes. Are there any tips that you have for helping teachers in your school who struggle with technology? If you’re a teacher still trying to master technology, how have others helped you? Please share your stories in the comments section below. To mark Teacher Appreciation Day on 6 May in the US, Google has launched a preview of Classroom, a free organisational tool kit for teachers to organise students’ work. 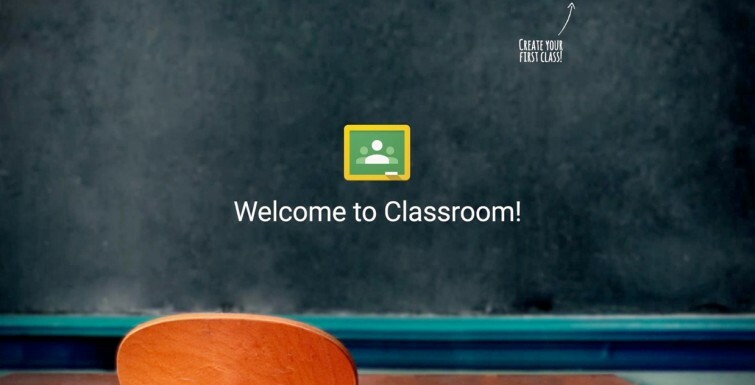 The new software will be included in the Google Apps for Education suite and, according to a post on the Google blog, Classroom “helps teachers create and organise assignments quickly, provide feedback efficiently, and communicate with their classes with ease”. The software uses a combination of Google Docs, Drive and Gmail to better interact with students and, perhaps to the annoyance of students, will mean there will be no excuse for getting a pass on doing homework if they can’t make it into school. So far, Classroom has been tested in a number of pilot schools in the US and is now being released as a preview to students and teachers who sign up for Classroom. A selection of those individuals will begin testing the software’s capabilities by next month. Other features of the education tool include the ability for teachers to make announcements, ask questions and comment with students in real-time, thereby improving communication inside and outside of class. Drive folders can also be created for each assignment and for each student. Classroom is due for general release at no cost in September.